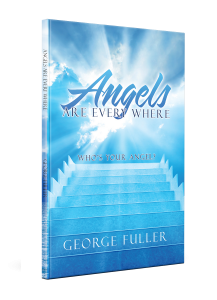 Angels Are Every Where is about a common man’s journey to spiritual fulfilment. It takes the reader from childhood to the present day, highlighting the events and the angels he met along the way. The stories in this are real. The blessings are real. It is the author’s desire that the reader’s end result is to share his or her blessings with others. We are so blessed that we sometimes forget and do not recognized how fortunate we truly are. Copyright © 2018. George Fuller. All rights reserved.